A staple in the history of the city of Dunedin, the Dunedin Times originating in 1924 left a legacy that carries on in the archives. The city of Dunedin first came in contact with printed news in late July in 1886. Their first local paper came from the West Hillsborough Times, a newspaper that serviced their local county. 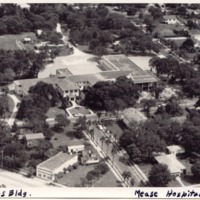 At this time, the city of Dunedin was still a part of the West Hillsborough county and able to access the paper. However, in 1912 the city separated into Pinellas County. Until the separation of counties, local residents received a newspaper that consisted of four pages. The first and last page presented local news and the second and third page was general reading material and articles for entertainment. These middle pages were purchased by a firm in Atlanta. In less than 10 years, the paper was purchased in 1892 by a new owner and moved its location to St. Petersburg and change the title of the paper. Its shift in location caused the city of Dunedin to not have its own newspaper for forty years. On February 7th, 1924 the paper was purchased by a local resident name Frank E. Joy who saw the demand of a newspaper the gap created. As the owner of the newspaper, Mr. Joy carried many titles such as the publisher, proprietor, and played the hat of general manager for the daily chores that came with running the business. The paper serviced the resident of the city as well as neighboring villages and farms. The subscription at the time was two dollars for the year to receive local news, short stories, and cartoons. The paper’s first location under Frank was in a frame house on Scotland Street which remained until 1930 and then moved to Main Street. Joy sold the paper after less than two years given poor paper circulation due to the limited population in the city and surrounding villages. The paper went through a few more owners until falling upon Mrs. C.W. Cleary who hired Elbert Watson to work at the paper. A hard worker and fresh out of high school, Watson was made manager in less than three years and held the position for 10 years. Watson briefly moved to the Clearwater Sun until hearing that Mrs. Cleary was putting the paper for sale. In 1944 Watson purchased the newspaper alongside with his wife and set forth the most successful years of the Dunedin Times. Harnessing the charming of a mom and pop business the Waterson’s ran the full operation of the paper. Mrs. Waterson ran most of the secretarial and reception work as well as running ads. On the other hand, Mr. Waterson handled the reporting, photography, operation, printing, and delivering. The work of the Waterson’s increased the success of the paper tenfold by expanding the issue to 24 pages and upgrading the printing operations for a better product. The Waterson owned the paper until 1963 where the demand for a daily paper was arising due to an increase in population on Honeymoon Island. The couple placed the paper under the hands of Harold P. Meyer and his associates who wished to take on the challenge of a daily paper. 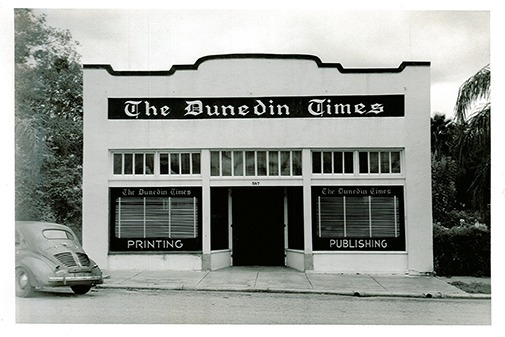 After 1966 the Dunedin Times intermittently printed newspapers until its publication ended in 2000. Now the Dunedin Times is remembered as one of the first successful business enterprises of the city of Dunedin and its legacy and work lives on online in the Dunedin Times Historical Archive through the preservation of its full collection by the Dunedin History Museum for years to come. 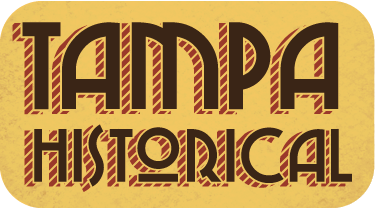 Gabriela Torres, “The Dunedin Times,” Tampa Historical, accessed April 20, 2019, http://tampahistorical.org/items/show/73. "Dunedin Through the Years 1850-1978".William L. Davison. 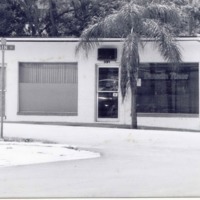 Delmar Printing Co. 1978.